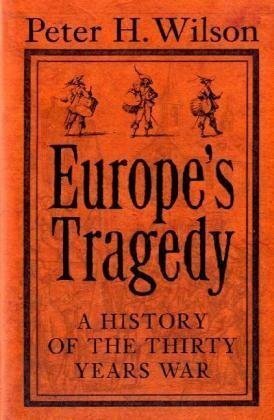 Yesterday the Sunday Times carried an excellent review of Peter Wilson’s soon to be published book “Europe's Tragedy”. Wedgewood’s book has long been a favourite of mine so this is high praise indeed. If truth be told I’ve bought slip cased Folio Society copies of her books on the ECW and the TYW I liked her writing so much. Anyway I digress. Imagine my joy when I found that Amazon have the new book on pre-order for £21.00 against a RRP of £35.00. I’ve ordered my copy, however it may be sometime before I’m able to post a review: the book is over 1,000 pages. My copy arrived yesterday and I was pleased to see that the price had fallen to £19.20 under Amazon’s pre-order guarantee scheme.